When I sent off my Ancestry DNA sample a few months ago, my main hope was to break through a few stumps. Well…just one would have been lovely, actually. After years of researching my elusive convict ancestors, I was ready to give anything a try. I knew that the process would involve connecting with distant cousins, and that our shared DNA would provide hints and clues as to where to search next. I was up for the challenge, and had my ‘detective hat’ well and truly polished and ready. Let’s do this! What I hadn’t really considered though, was how DNA could also help to further verify research. I’d never thought about it in that way (rookie mistake), but after matching with quite a few different people who share the same ancestors as me, I quickly realised just how valuable it could be. Take the Bannisters for example. 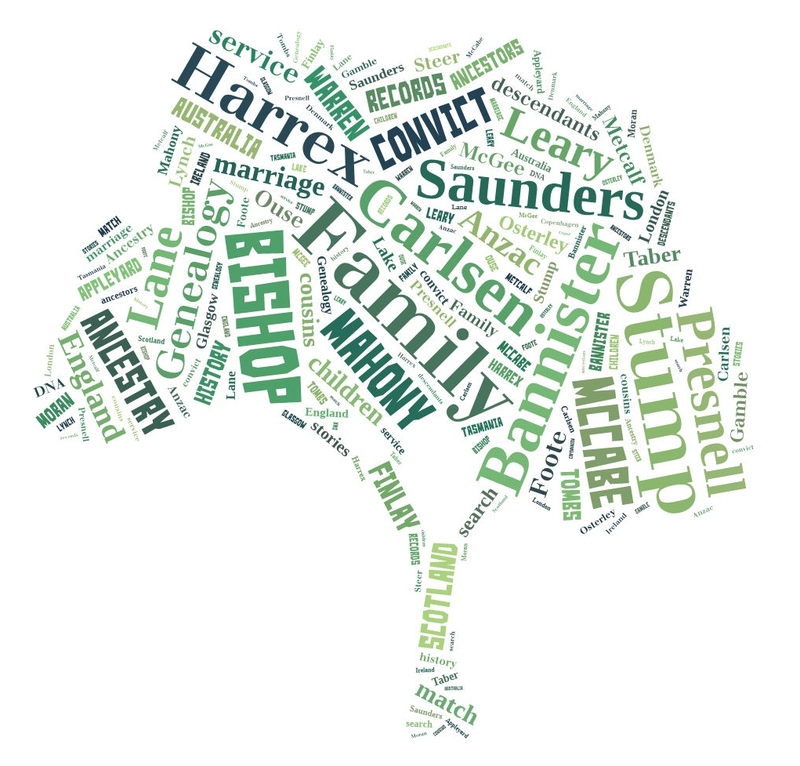 I know George and Ann are my ancestors; both former convicts who married in 1850 and had six children. Early on in DNA-land, I matched with a descendant of one of these children (which was pretty exciting). But recently, two more matches came along – from descendants of two other children. And all four of us share DNA with each other! Sure, I have paper trails and records, but I kinda like having the extra connections, and the extra little piece to the puzzle. There’s something just a bit…nice about it all. Along with helping to verify our research, the other huge bonus of all of this is that we have a great chance of one day breaking through the stump of our mutual convict ancestors. With my DNA alone, it’s a tough gig. 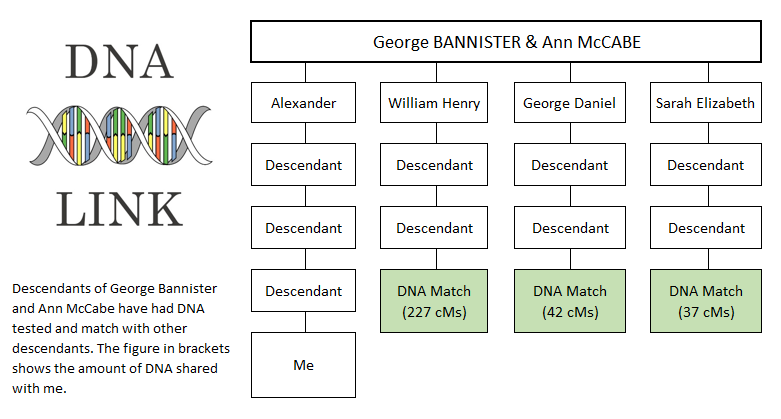 But with my lovely Bannister cousins sharing their lovely DNA, we can start to narrow down connections – weeding out those that don’t have DNA in common with all (or some) of us, and looking further into the ones that do. It’s bound to happen, right? When that day comes, the beers are on me.